The importance of maintaning proper hygiene while out in the field cannot be understated. Western Shelter creates mobile hygiene systems that are able to offer the modern convenience of indoor plumbing, anywhere in the world. Laundry facilities are important for any operation that lasts more than a few days. 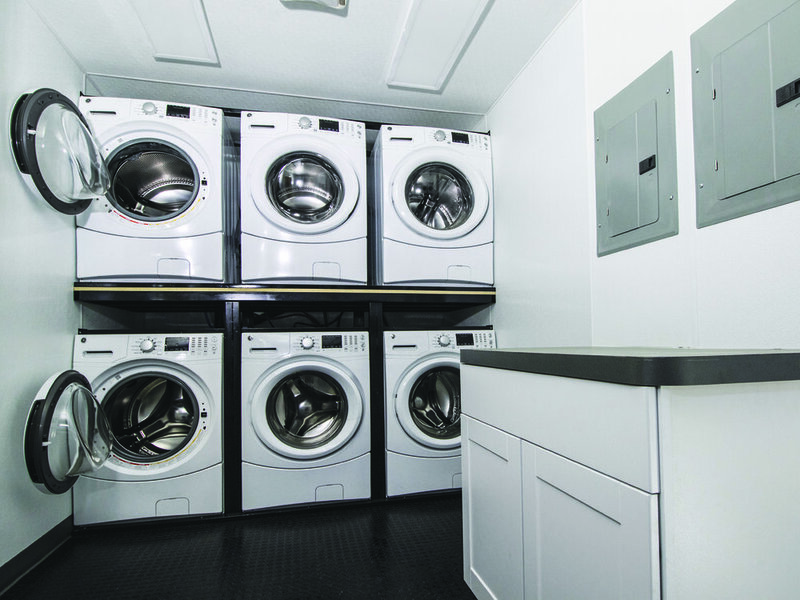 Western Shelter’s Laundry Containers are built to withstand the demands of global travel, and contain clever features to simplify operation and equipment needs. A full service sanitation container can be a lifesaver for when conditions are tough. 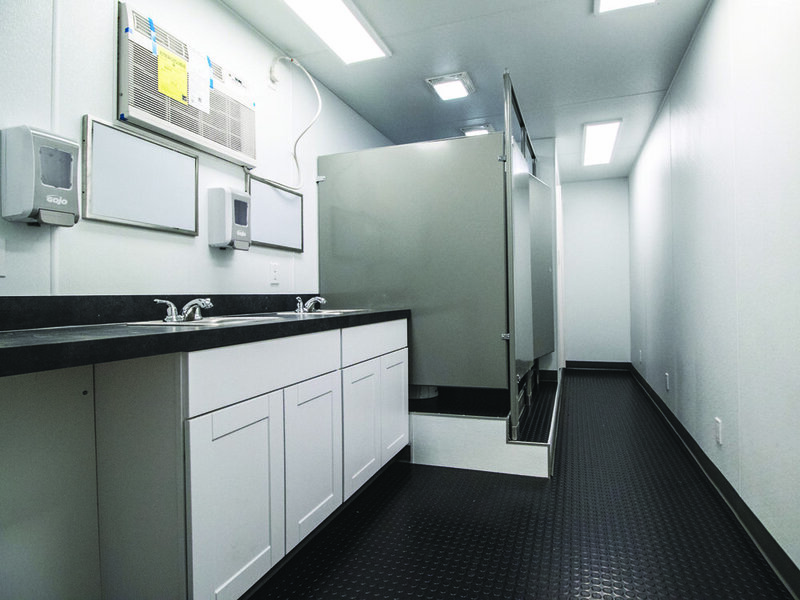 Western Shelter's sanitation container is equipped with toilets, showers, handwash sinks, and other amenities such as an air conditioner to keep crews clean and healthy. The availability of hot showers is critical to the health and morale of individuals who live or work in austere conditions. 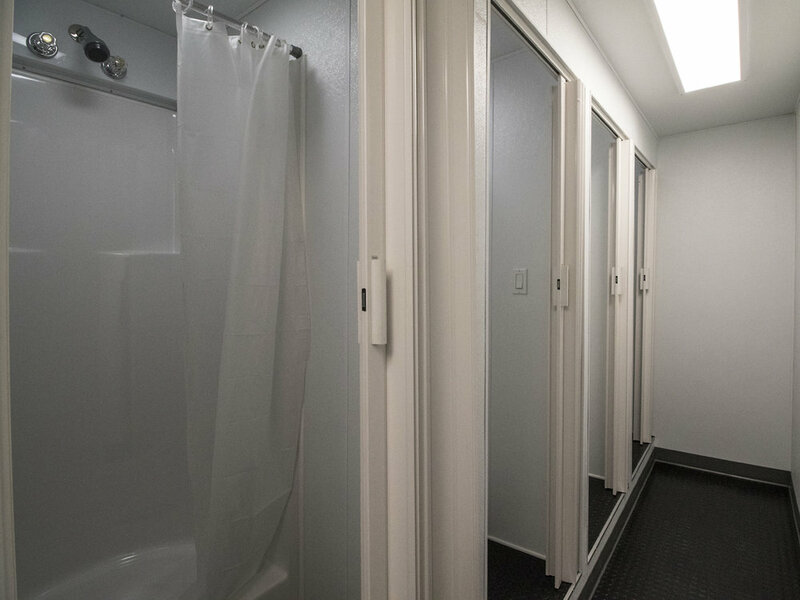 Western Shelter’s Mobile Shower units offer a well thought out and turnkey solution to this need. Western Shelter sanitation systems are created with high quality materials by expertly skilled individuals. Designed to maximize every square foot of usable space, our systems can also be custom designed to meet any project needs. Every addition to our mobile hygiene systems is there for a reason. With thoughtful features like low flow toilets, energy efficient lighting, air conditioners and more, our mobile hygiene solutions are rugged enough to withstand the use of any field. Like all of our mobility products, our hygiene systems are designed to be adaptable and portable. Whether the mission is brief or requires an extended stay, you can be rest assured that our product is ready to move when you are.